Landscape Elements LLC assisted Barun Basu Associates Architects with the design of the plaza for the David Ruggles Freedom Bell project. This courtyard or plaza provides a site at the front entrance of City Hall in Norwich, CT to commemorate President Abraham Lincoln’s Emancipation Proclamation of January 1, 1863 which freed the slaves at the end of the civil war. 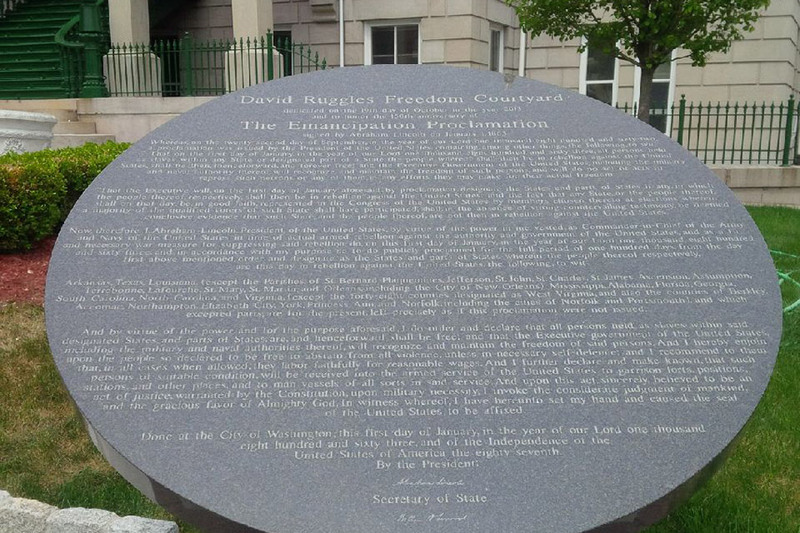 It is dedicated to a local African American, David Ruggles (1810-1849) who was a black abolitionist and writer from Norwich. Barun Basu Associates, a New London architectural firm, designed a 17-foot tall steel arch that holds the bell aloft above the plaza. 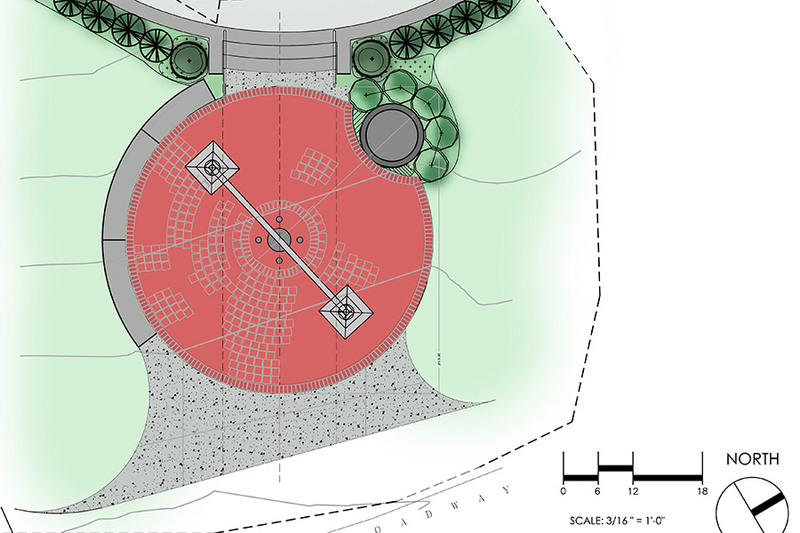 The circular plaza is comprised of modular pavers set in concentric circles. 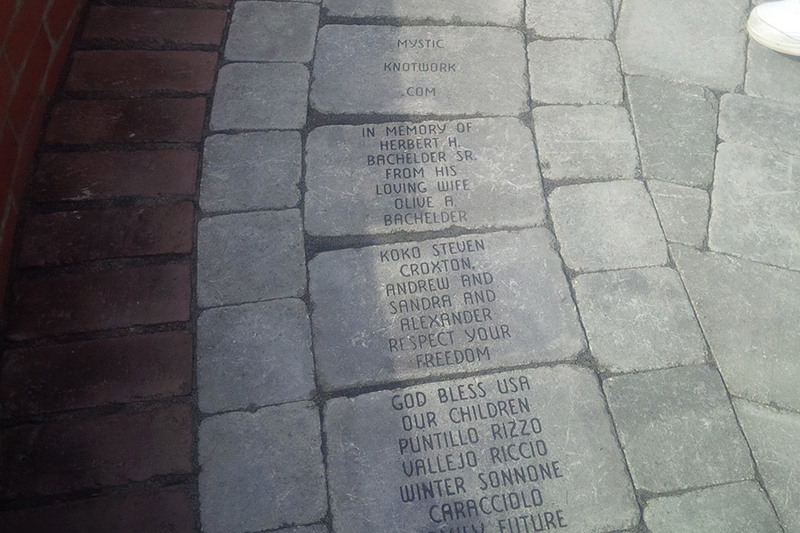 The pavers can be purchased through donation and donors can have a commemorative note or their names engraved. Landscape Elements LLC provided the setting for the arch and the commemorative plaque, working with architects. The arch is located centrally within a circular plazza & frames a view to city hall. A small seat wall encloses one side of the plazza and landscaping defines this lower plazza from an existing upper plazza. 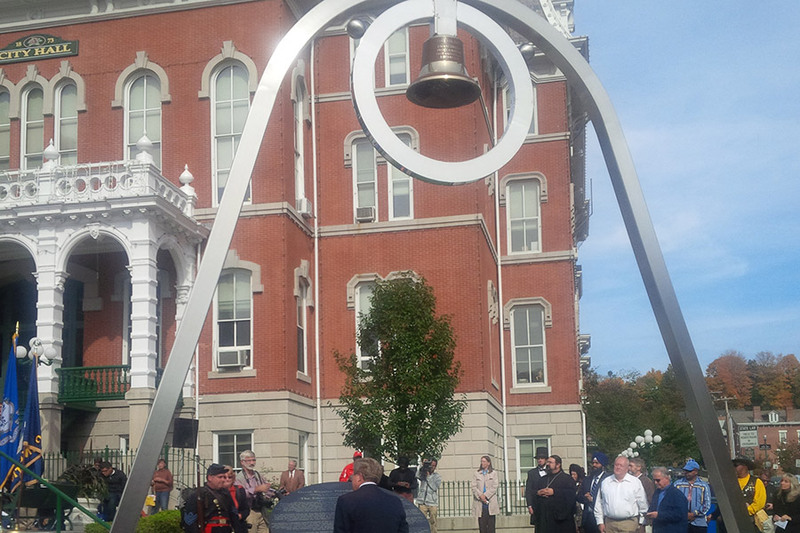 The dedication of the David Ruggles Freedom Bell Tower and Courtyard was held on Saturday October 19, 2013.